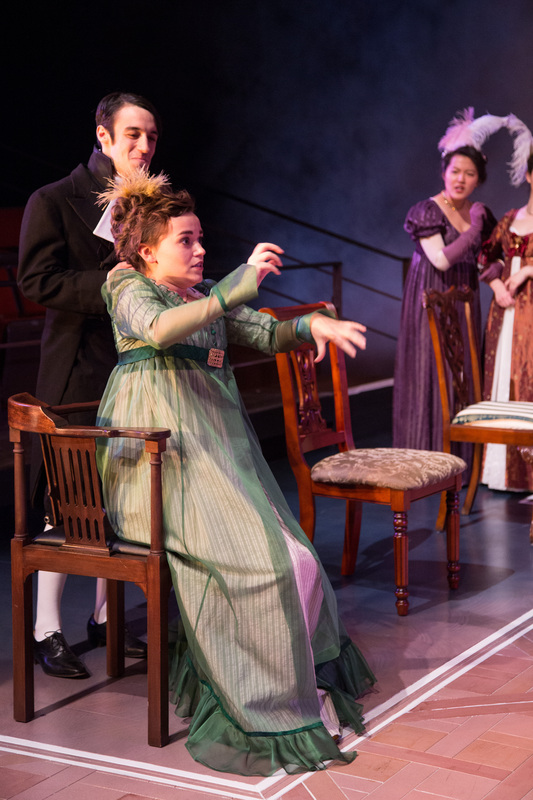 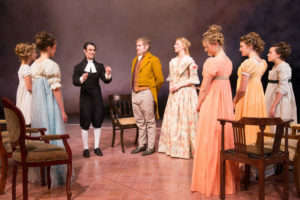 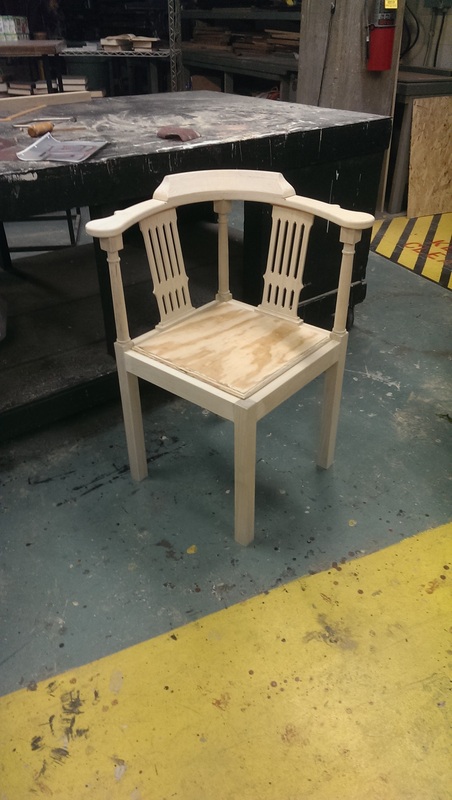 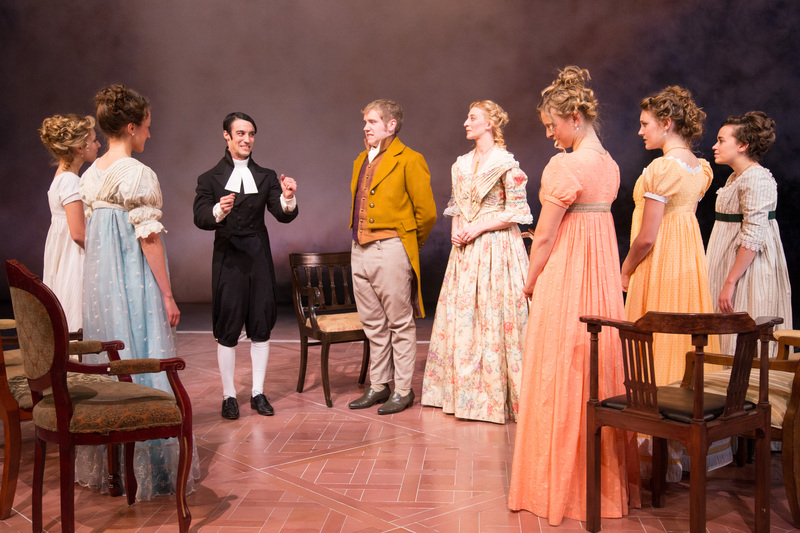 The scenic designer requested a corner chair for Pride and Prejudice. After searching around for a chair that would fit the show, I decided to build the show from scratch. 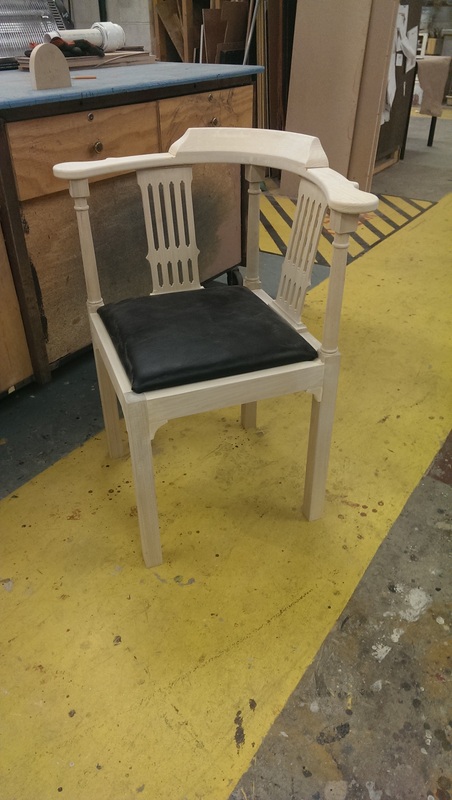 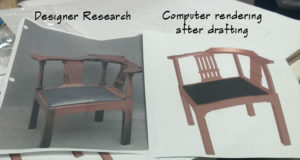 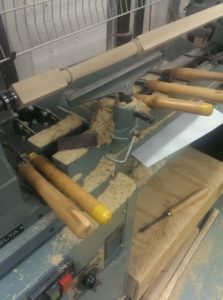 After drafting the chair from the research image, I turned the legs out of poplar on the lather. Parts of the back were drafted and then cut out on the CNC router.